Learning and Teaching …. It’s Been a Busy Month! Just wrapped up our second Whole Systems Gardening Class at School of Permaculture! It was a delight and privilege to be on the team teaching this 4-day intensive, seed to seed, harvest and preserve garden learning experience. We combined classroom and hands-on, with seed starting, marked out a mandala-style garden, learned about soil life, built an 18-day compost pile, tasted wonderful fermented vegetables and learned a lot about nutrition … Truly an experience. Watch for another class this fall and definitely another next spring! My teaching schedule has kept me busy – and will continue keeping me busy. There was the Garden Readiness class at Trinity Haymarket a few weeks ago, and on March 26 I’ll be talking about Companion Planting to get the best results from your garden. And on April 16, I’ll be holding another Straw Bale Gardening class at Trinity Haymarket. For other venues, I’ll be in Denison for the Culture of Arts Festival, talking about Companion Planting on April 2. You can catch me at the Arboretum on April 9, discussing Permaculture Basics for the home garden. 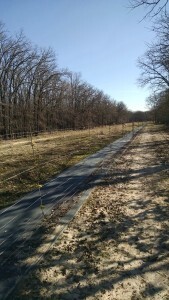 AND, on April 15, I’ll be a panelist on urban agriculture at the Sustainable Summit held by Cedar Valley College. For those of you who know me, you know I can talk gardening until your eyes glaze over. But I truly enjoy sharing my knowledge with anyone who wants to garden, and garden better. NOW… I’ve also been on the road, learning. I attended the Southern Sustainable Ag Working Group conference in Lexington Kentucky at the end of January (I believe I posted a couple of photos of the permaculture farm I visited). And the second weekend of February brought the Texas Organic Farming and Gardening Conference to Rockwall. My head is still spinning with all that I learned. I’ll be passing along knowledge gained as I transcribe my notes. That’s all for tonight … Digging in the dirt is good for the soul. Grow something! Posted in classes, companion planting, garden, gardening, permaculture, seed starting. Last night I attended a call to action meeting for saving monarchs as well as other pollinators. 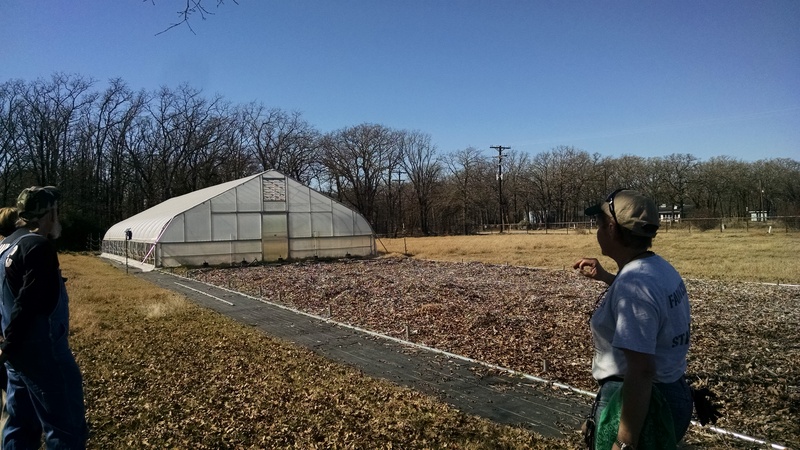 Randy Johnson, Dallas-based horticulturist and passionate pollinator protector, gave a quick run-down of plants and plantings designed to provide migrating monarchs with host and nectar plants. He stressed staying with native plants because the prairie ecosystem is critical to monarch migration (in March they come through going north; in October they move south). It’s the longest insect migration in the world (except maybe locusts!). 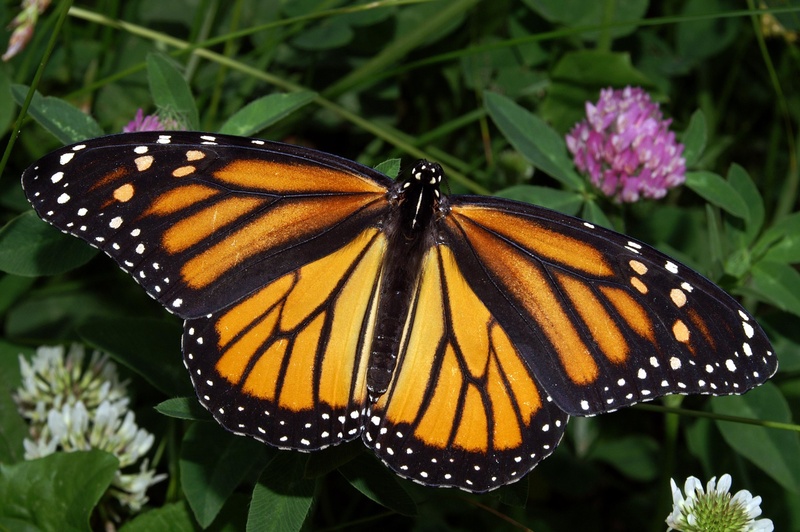 Those attending who are “of age” remember when monarchs filled the sky on their migrations. Now, it is a cause to celebrate if one sees scores on a plant. Zizia aurea – golden alexanders – which also tolerate shade! There are many more, but this will get you started. The key is to provide blooms stretching from March through fall – “succession blooming”. Randy also stressed that plantings should be in blocks, or patches. He warned against a single plant here and one over there, as the pollinators may find one but not the other. Best to plant together. And, of course, plantings should be organic, with no spraying. Calls for city-wide action for pollinator protection was also discussed. Kevin Lefebvre with the City of Dallas reminded attendees of www.GreenDallas.net as a place to learn of upcoming issues before City Council. Folks can register to receive notices and alerts. Posted in butterflies, monarchs, pollinators. The last few weeks, I’ve been on the road, attending first the Southern Sustainable Agriculture Working Group Conference in Lexington, Kentucky, and now the Texas Organic Farmers and Gardeners Conference in Rockwall, Texas. For each conference, I chose a farm trip that was to a permaculture farm. The first, to Salamander Creek Farm outside of Berea, KY, was a hillside full of swales and berms, under lots of snow. 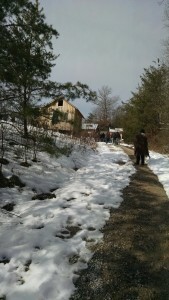 We had to hike in, up a hill, to view the farm. Totally off-grid, Susana has a sustainable operation that throws off some surplus for sale at the farmers market. She feeds her chickens, ducks and geese as well as herself from what she grows onsite. Quite impressive. 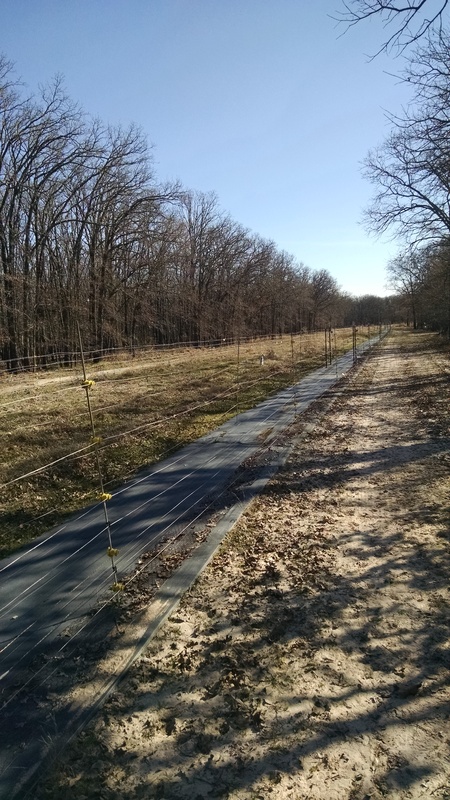 The second farm is Barking Cat Farm in West Tawakoni, Texas. Lauren and Kim are converting the farm to permaculture; away from their market garden annuals to perennials. Their property sports a high tunnel greenhouse, that can be moved on rails from one spot to the other. They plan to move it once a year. 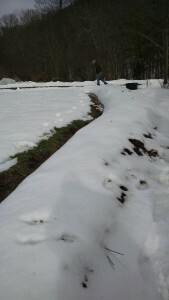 This allows them to fallow the ground and build up soil for the portion not under greenhouse. They are also dealing with deer. Consequently, the greenhouse is surrounded with electric fencing. Also surrounded is their “esplanade,” a long narrow strip of ground in which they still have onions growing. I’ll talk more about their fencing and plans in another post. Rather tired right now, and there are still two days of conference to go!